“Photography is too good to be considered simply art” (Ant!foto Manifesto, 2013). If you want to specialise in this discipline, train with one of our key programmes. We offer practical training, innovative and based on the excellence of the teaching staff and the carrying out of an individual project. “Photography is too good to be considered simply art” (Ant!foto Manifesto, 2013). If you want to specialise in this discipline, train with one of our key programmes. We offer practical training, innovative and based on the excellence of the teaching staff and the carrying out of an individual project. Participation period: 17th September, 2013. One first prize equivalent to €8,500 off the course fee. One second prize equivalent to €4,250 off the course fee. One first prize equivalent to €1,700 off the course fee. One second prize equivalent to €850 off the course fee. One first prize equivalent to €2,800 off the course fee. One second prize equivalent to €1,400 off the course fee. 6. 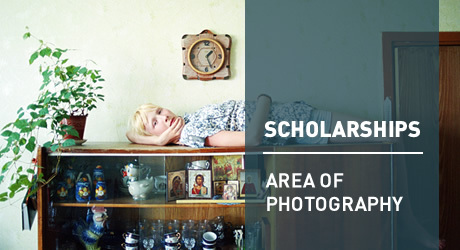 All the winners will have to pay the course registration fee (€4,000 for the European Master in Fine Art Photography; €1,100 for the Professional Photography Specialisation Course; €900 for the International Photobook Specialisation Course). The winners of the second prizes will have to pay the registration fee and the difference between the price of the course and the amount of the prize (€4,000 registration fee plus €4,250 in course fees for the European Master in Fine Art Photography; €1,100 registration fee plus €1,400 in course fees for the Professional Photography Specialisation Course; €900 registration fee plus €850 in course fees for the International Photobook Specialisation Course). 18. The participation period ends on the 17th September, 2013 at 10:00, Madrid time. Al utilizar este formulario para contactar con Istituto Europeo di Design, S.L. el usuario se considera informado y acepta la POLÍTICA DE PRIVACIDAD y el AVISO LEGAL que existe en este sitio web y consiente expresamente a que Istituto Europeo di Design, S.L. trate sus datos de carácter personal en un fichero denominado CLIENTES Y USUARIOS WEB inscrito en el Registro General de Protección de Datos, cuya finalidad/es principal/es es la recogida de datos relativos a los usuarios y a los clientes potenciales que solicitan información comercial sobre los servicios de formación, cursos y másteres de postgrado así como a los usuarios que acceden a la empresa a través de la página web o de redes sociales para solicitar información o toma de contacto con la empresa y la gestión de dichas solicitudes, gestión administrativa, gestión comercial de captación y fidelización de los clientes. Igualmente, podrá ejercitar gratuitamente los derechos de acceso, rectificación, cancelación y oposición dirigiéndose a calle Larra 14, 28004 Madrid o a través de correo electrónico a baja@madrid.ied.es junto con prueba válida en derecho, como fotocopia del DNI e indicando en el asunto “PROTECCIÓN DE DATOS”.